My childhood experiences with food, the joy of growing it, preparing it, and then sharing it at the table with family and friends, were among my most formative life events. They remain among my most treasured memories today. You know, for all too many people, children in particular, our hyper-paced, pre-packaged world has short-circuited the connection between garden or farm and table. All children deserve to eat delicious healthful real food and learn how to take care of themselves. 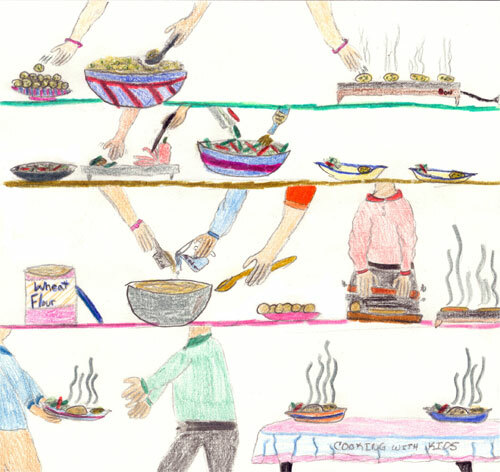 In 1995, long before celebrity chefs and chiefs of state started raising concerns about processed foods and junk being fed to our kids, Lynn Walters—Cooking with Kids founder and executive director—began her quest here in Santa Fe to educate children about good food, realizing that—to make a real long-term difference—the effort needed to involve children, of course, but that it required buy-ins from parents, school administration, schools, teachers, and those hard-working lunch ladies. Over 17 years, we’ve grown to serve nearly 5,000 kids annually from pre-kindergarten to 6th grade, with more than a thousand volunteers, many of them parents. You might be flabbergasted to know that—for just one example—Ethiopian lentils are being made in classrooms, served in cafeterias, and delightedly devoured by kids all around Santa Fe each school year. Participating children learn not only about food and cooking, but geography, math, and social interaction and teamwork skills too. 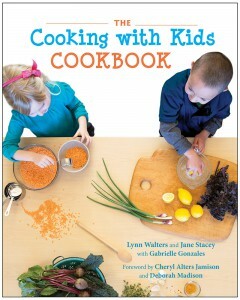 Watch too for the for the new cooking with kids Cookbook, coming Fall, 2016, from UNM press. I am proud to be on the board of Cooking with Kids. All of you out there can play a role in helping us with this important work.